Our client City of Holdfast Bay asked us to help with rebranding Marina Pier, a privately-owned seaside, food, wine and shopping precinct located at Holdfast Shores, Glenelg. They required a fresh new look to help modernise the area and attract new visitors to enjoy the culinary delights and wonderful ocean views. 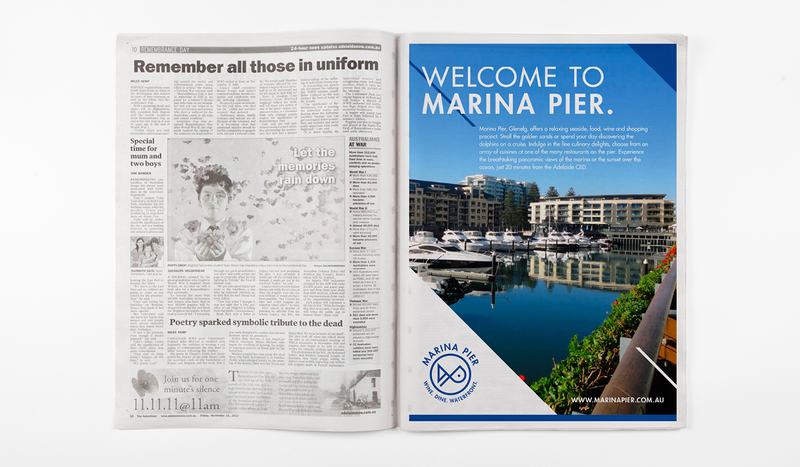 Working closely with the City of Holdfast Bay, we designed a number of different brands and directions for Marina Pier that were reviewed by both Council and the client. 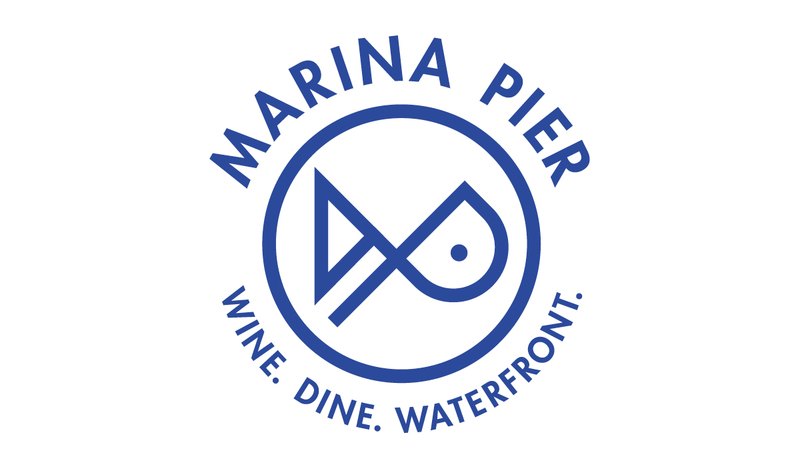 Ultimately, this direction came out on top – it tells the story of Marina Pier with an elegant and contemporary monogram mark, the MP initials also representing an abstract fish and yacht. 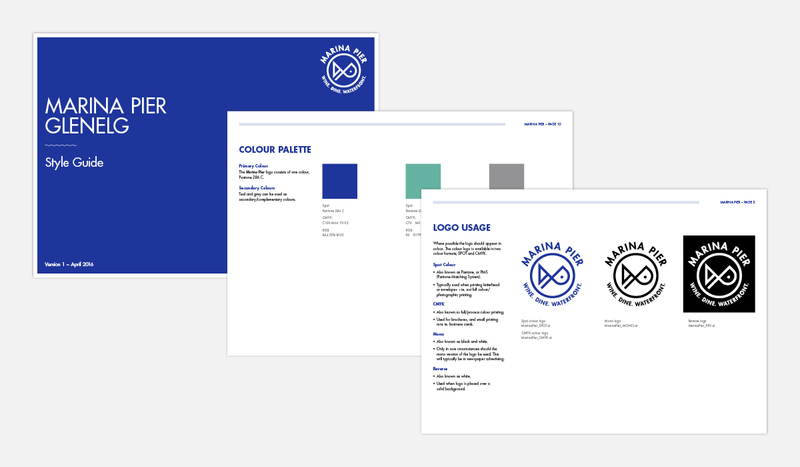 We then created a style guide for the brand, as well as a concept design for a press ad.